Visiting some of Highlander’s relatives in Canada is always a treat—literally—especially when they serve treats from his country of birth. They want to remind him of his roots and share cultural cuisine with us since we are foodies. One distinctive dessert from Canada is butter tarts, a pastry invented in the pioneer era. We transformed the traditional tarts into squares for a sweet stacked snack to celebrate Canada Day. 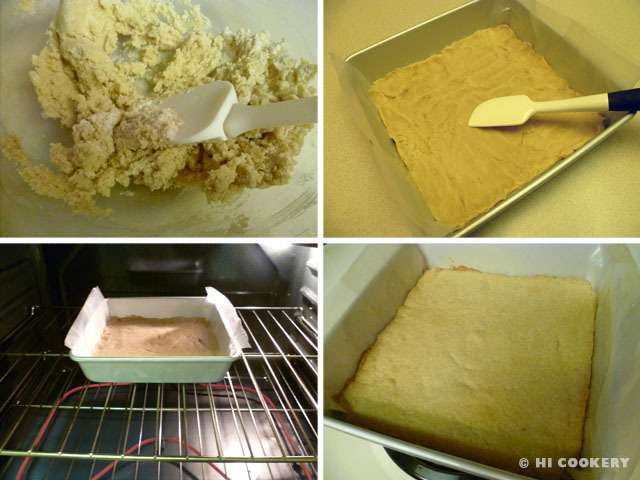 Line an 8×8-inch square baking pan with parchment or waxed paper, leaving a little overhang as the “handles” to lift the dessert out of the pan later. In a large mixing bowl, cream the butter with the brown sugar. Mix in the flour until it sticks together. Press into prepared pan. Bake in a preheated oven at 350 degrees F for 15-20 minutes. Remove from the oven and cool completely. Make the topping. 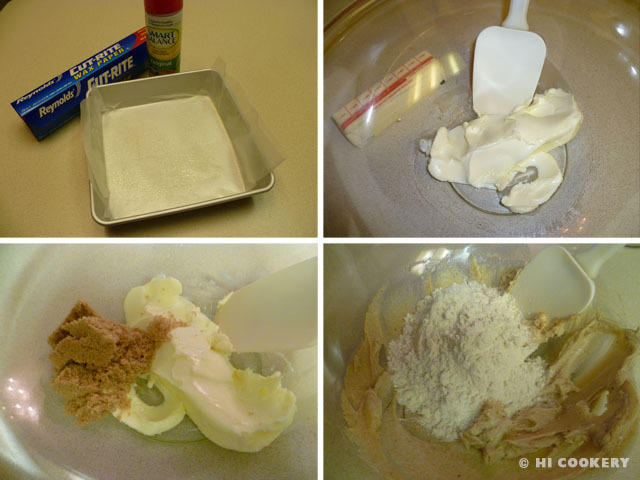 In a large mixing bowl, cream the butter with the brown sugar. 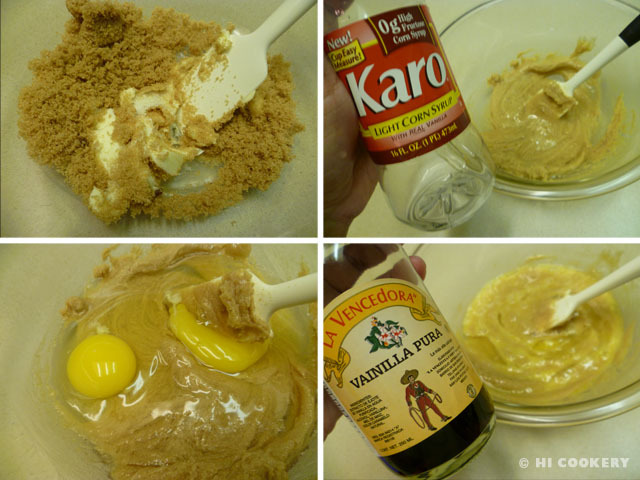 Mix in the corn syrup, eggs and vanilla. 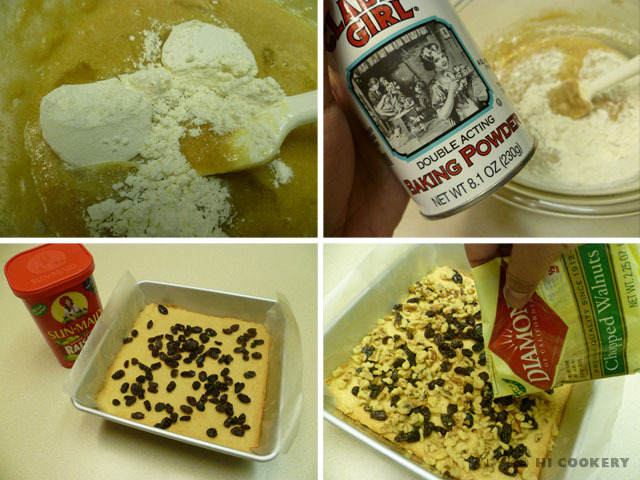 Blend in the flour and baking powder. Sprinkle the raisins and chopped walnuts over the base crust. Pour the filling over the raisins and nuts. Bake in a preheated oven at 350 degrees F for 25 minutes or until the filling is set. Remove from the oven and cool completely. 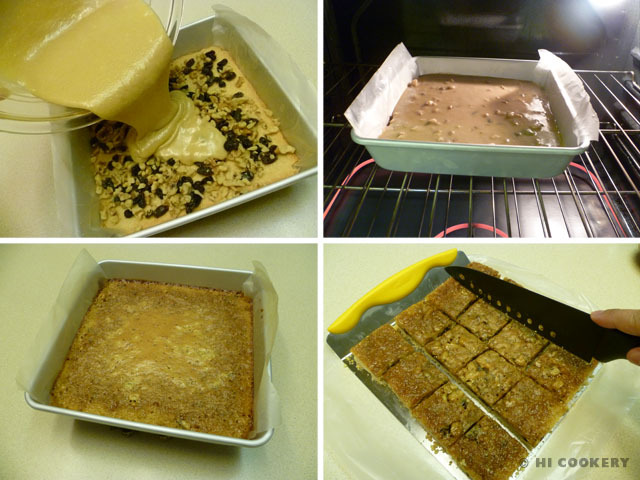 Lift the dessert out of the pan using the parchment or waxed paper “handles”. Cut into 16 squares. The raisins and walnuts are optional but we added them to the recipe. The raisins add a nice chewy texture and the walnuts counter the sweetness of this dessert. Is there some way I can purchase this recipe from your blog. I would like to add it to my collection of Celtic recipes (I’m Welsh and Scottish) but do not want to violate your copyright. I enjoy your blog and respect you too much to do that to you. Hi, Brad. Thanks for writing to us and asking. We recently had an issue with someone who used our photos without permission to sell her products, which misled others to think she made the food item and was profiting from our photo. You are fine to use the recipe with credit to HI Cookery. We can also do a link exchange to you. 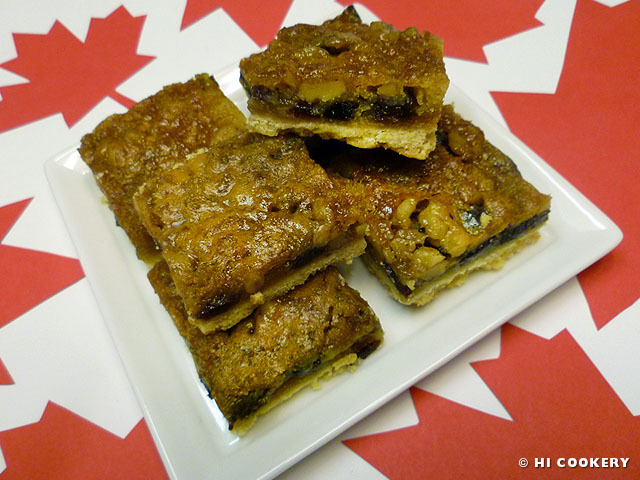 Butter tart squares are our adaptation of the traditional Canadian butter tarts. The Scots have something similar: ecclefachan tarts. We will most likely do a blog post on the latter recipe later. Good luck on building your collection of Celtic recipes. Thank you. The recipe is for personal use only. I get many requests for the Celtic recipes, especially toad in the hole and welsh cakes. My thanks again. I enjoy your blog.